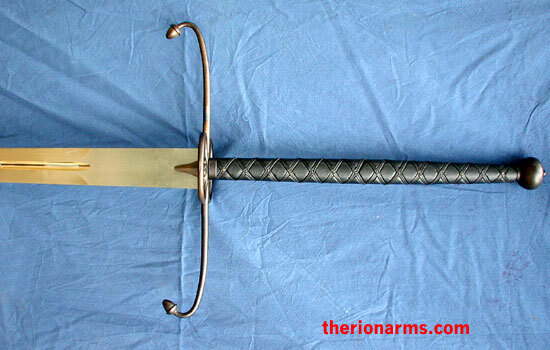 The Highland Scots are famous for their claymores, the Lowland Scotts were feared for their greatswords! Everyone is familiar with the Highlanders, but don't forget that it was the ancestors of the lowland Gaelic warriors who made the Roman occupiers of Britain decide that invading what-was-to-become-Scotland was too much trouble, and that it was safer to build Hadrian's Wall and stay south of the fortifications. It was also the Lowlanders who gave the English so much trouble in the 16th century (the famed "Border Reivers"). 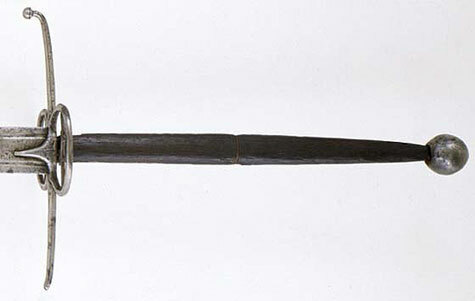 This massive two-hand sword is copied from an existant museum piece. Fully functional, it is beautifully porportioned and well balanced. 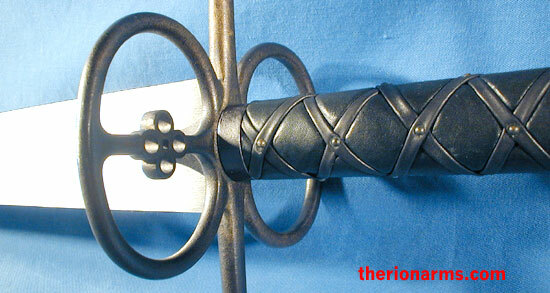 Leather covered and studded wood grip, polished blade (appears dark in some pictures above, but it's not), antique finish steel quillons and pommel. 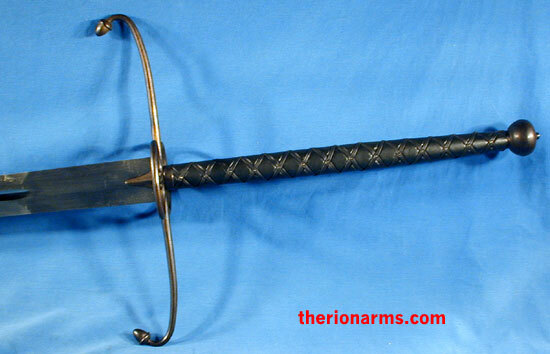 Comes complete with a wall-mount display bracket for when you're not terrorising the Sasenach. grip and pommel: 20 1/4"
guard: 17 1/2" x 6 1/2"
The two pictures above show the (slightly damaged) original that this sword is based upon. 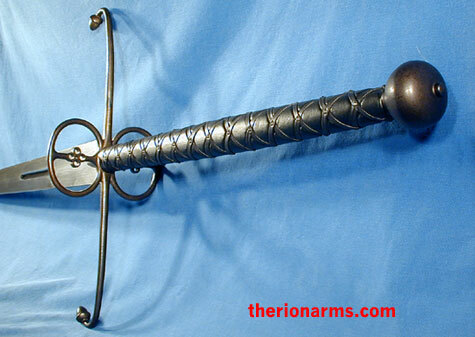 The original is in the Arms & Armor Gallery of the Kelvingrove Art Gallery and Museum in Glasgow.